The Michigan State University Board of Trustees has voted to accept the resignation of interim president John Engler immediately rather than when he had wanted it to take effect next Wednesday. The board also moved to appoint Satish Udpa as acting president. 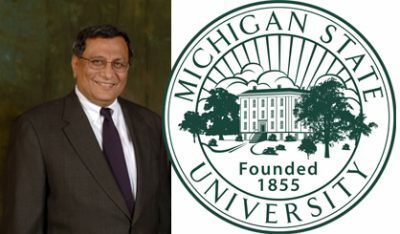 He currently is executive vice president of Administrative Services at MSU. Board of Trustees chairwoman Dianne Byrum called it the beginning of a better relationship between the board , the MSU community, and the survivors of former MSU sports doctor Larry Nassar’s sexual abuses. Engler’s resignation came after comments he made last week to “The Detroit News” editorial board in which he said some of Nassar’s survivors have been “enjoying the spotlight.” Trustee Brian Mosallam said that was the final straw. “Today, the healing can truly begin. John Engler’s reign of terror is finally over,” Mosallam said at Thursday’s board meeting. In his 11-page resignation letter, Engler noted the change in control of the Board of Trustees from a Republican to a Democratic majority and said he was honoring the request of the majority on the board to step down. He had said it would be effective next Wednesday, but he’s out now.